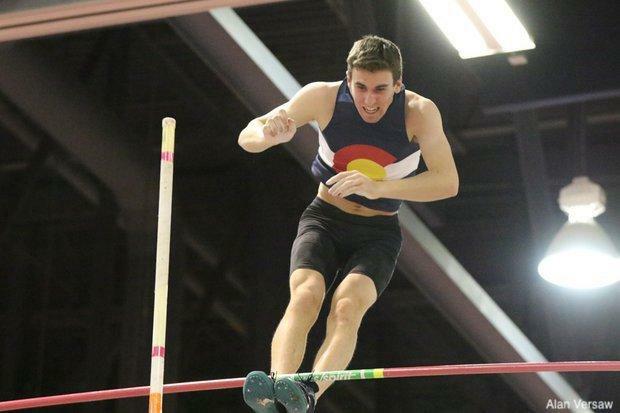 Fans of the pole vault -- and track and field in general -- were spoiled last year with the talent on display in the boys event. Unfortunately, the top three and four of the top nine high school vaulters of all-time moved on to college this year, leaving someone to claim the throne as the next big name. On Saturday, Colorado standout Max Manson came down from the mountains and staked his claim. Manson, a frontrunner for the win heading into the event, was able to outlast some of the nation's best on his way to his first career national title in a lifetime best 17-5.5, tying his father's all-time best in the process. After finishing third last year at indoor nationals, Manson was able to make the leap to the top and hold off challenges from Nathan Stone (IN), Bowman Starr (WA), and Dalton Shepler (OH) for the victory. His vault is a US No. 2 behind Stone's 17-6 from last week, but it has moved him into the top 20 on the list of best indoor vaults of all time. Watch for Manson to continue to climb as he challenges 18-0 this outdoor season.